I was browsing through old photos for my next blog post when I stumbled upon these and thought that I would post them instead. 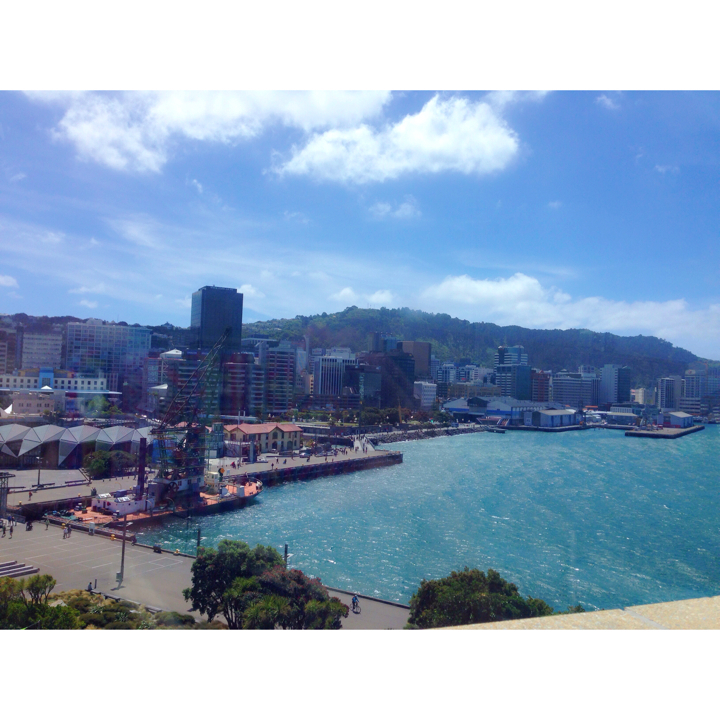 These are photos that I took from the viewing deck of Te Papa Museum Wellington. They’re not the best of quality as I only took them with my Iphone at the time but I just find it amusing that I was able to take a “day photo” and an “evening photo” of more or less the same angle on totally different days without even realizing until now. I guess that just shows how much I like coming here! The viewing deck is located on the top most floor of the museum. Go to the lifts located near the information area and then head up to the sixth floor. When you go out the glass doors, you will be greeted with a fantastic view of the waterfront. 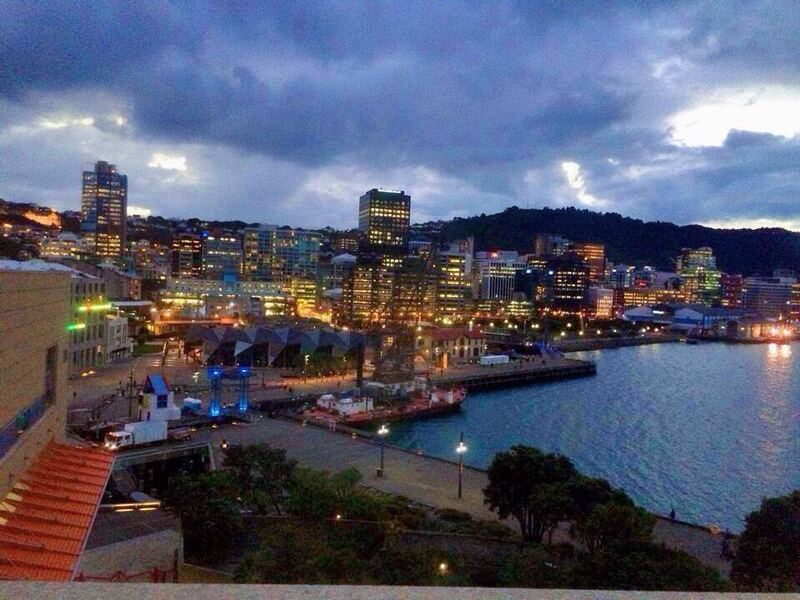 This place is one of my few favorite spots here in Wellington. The view from up here is beautiful and whenever I’m showing a friend around who’s in the city for the first time, I always bring them up here when doing the mandatory trip to Te Papa Museum. Hello! Thank you for the suggestion! Will try it out some time! 🙂 Is there a specific size I could follow for that or any size will do as long as it is much bigger? will be happy to help… if required! !